Classic elegance! 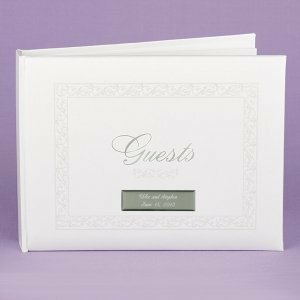 This 7-1/2" by 5-3/4" white guest book features a pearl-embossed border featuring a vine pattern and the words "Our Guests" stamped in silver foil. 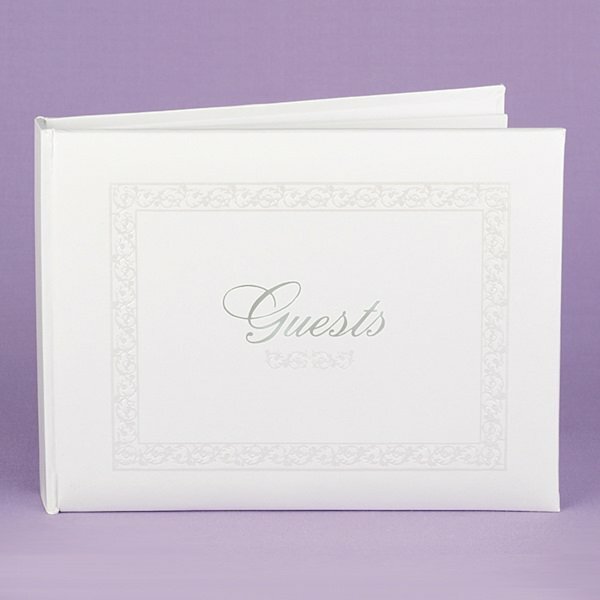 The White Essence Guest Book is spiral bound so that it will lay flat and has simple flourish designs on each page. 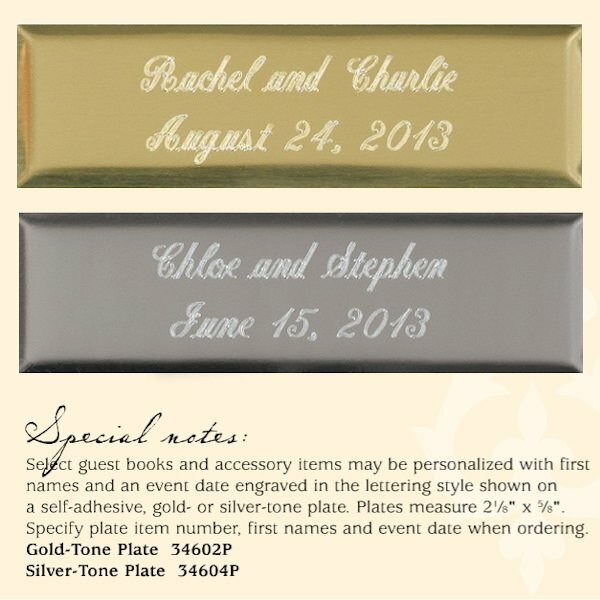 The book has room for up to 600 guest signatures on lined pages.